Are you looking for a pressure washer that is versatile and gives you value for your money? Find the best Campbell Hausfeld pressure washer from the reviews below! Reliable pressure washers are a must when you do a lot of cleaning. If you need a powerful pressure washer, find the best Campbell Hausfeld pressure washer in the line and blast out all that dirt and grime away. The Campbell Hausfeld pressure washers are versatile and will definitely give you value for your money. In addition, you can save 80% more water when you use the Campbell Hausfeld pressure washer as compared to your ordinary water hose. This pressure washer brand is also popularly used in commercial establishments. In fact, Campbell Hausfeld is well-loved by many as it is excellent for power washing different types of surfaces such as those of cars, boats, patios, decks, and a whole lot more. In this article, let me present to you the best Campbell Hausfeld pressure washer models and the advantages of using them. 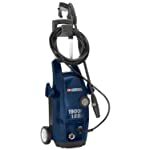 These include the different models of electric pressure washers that the brand offers. You will also find the much-needed information that can help you decide which Campbell Hausfeld pressure washer is best suited to your needs and gives you your money’s worth. What’s The Best-Value Campbell Hausfeld Pressure Washer? Campbell Hausfeld was established in 1836 in Ohio where they began to manufacture quality agricultural equipment with the aim of making farmers’ work effortlessly and quickly. Since its founding, Campbell Hausfeld has been known for producing reliable equipment, more specifically air compressors. Today, the company is focused on the delivery of compressed air products for both traditional and new applications. Campbell Hausfeld is also continuously looking for better ways of putting this technology at work. If you are looking for a way to save money, a pressure washer from Campbell Hausfeld is a great choice. They have budget-friendly pressure washers, and with a little bit of care, their pressure washer machines can last longer than the other brands of its kind. Campbell Hausfeld offers pressure washers for light and medium-duty cleaning. They also have pressure washers with up to 4200 PSI for heavy-duty tasks, albeit limited. Furthermore, the brand’s pressure washers are safe to use on any type of surface as reported by its patrons. On top of all these amazing things, Campbell Hausfeld is also recognized for its lightweight products that are easy to use and store. This means that not only are the Campbell Hausfeld pressure washers easier for you to maneuver while cleaning, they also require just a little space for storing. Their pressure washers will give the same durability that other brands offer at an affordable price. There are two types of Campbell Hausfeld pressure washers, namely the gas and electric types. If you are having second thoughts on which unit to buy, read on below and find out which type is best for your needs. A Campbell Hausfeld electric pressure washer is commonly used in households since they are lightweight and compact. Unlike a gas pressure washer, an electric pressure washer produces lesser pressure. Since it is made for lighter jobs, it is definitely cheaper but is best used for light to medium cleaning only. Electric pressure washers are also eco-friendly since they only use electricity as a power source. This means no fumes during operation. Plus, it does not produce a loud buzzing sound that the gas pressure washers usually make. If you have sensitive hearing, then you should stick to electric type alone. Campbell Hausfeld electric pressure washers come with different types of nozzles that are specifically made to access easily every nook and cranny of your house. The brand offers electric washers ranging from 1500 PSI to 2000 PSI. Gas pressure washers are normally used for commercial purposes. They are built for heavy-duty jobs. They have higher power outputs as compared to electric pressure washers. The pressure output usually starts from 3200 to 4200 PSI. Most gas pressure washers also have steel frames, thus increasing the durability of the washer. However, this added durability factor makes the gas units more expensive than electric pressure washers. If you’re wondering what makes Campbell Hausfeld gas pressure washers worth the money, then I’d be happy to tell you that it can be used in various cleaning applications. Hence, its versatility in doing various cleaning tasks is the selling point. Users of this pressure washer brand reported that the gas units are effective in cleaning outdoor equipment, concrete patios, boats, RVs, and more. In addition, models of Campbell Hausfeld gas pressure washers have 25 to 50-foot hose and detergent tank, which are perfect for heavy-duty outdoor tasks. Generally, you can use both Campbell Hausfeld electric and gas pressure washers for residential cleaning jobs. The gas pressure washers are ideal for outdoor and rigorous cleaning whereas the electric units are best for indoor use. If you need a power washer with enough strength to let you get a lot of cleaning done yet will not leave permanent marks on your surface, then the Campbell Hausfeld PW182501AV is the one for you. 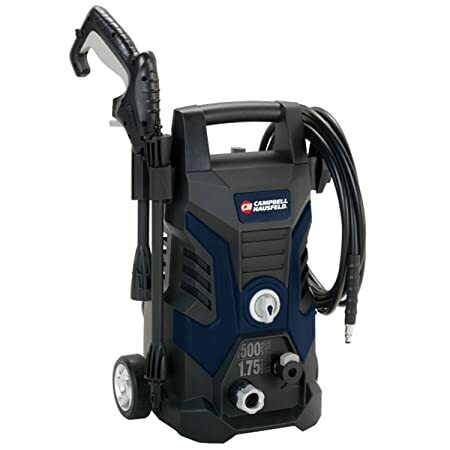 It is one of the electric pressure washers in Campbell Hausfeld’s mid-range product lineup. This unit has a maximum flow rate of 1.65 gallons per minute at 1900 PSI. It also has easy-to-attach points that allow trouble-free installation of accessories and attachments, such as the 20-ft long pressure hose that can be stored on the built-in hose reel and other attachments like the pressure washer guns or wands, turbo lance, and a 1-liter external detergent tank. Campbell Hausfeld PW182501AV also comes with a variety of nozzles that you can use in various cleaning jobs. With its 35-ft power cord and GFCI safety plug, you can easily move the pressure washer around with fewer worries about safety. This model is equipped with a swivel hose adaptor that lets you use the spray wand at any angle. Thus, you do not have to concern yourself with your hose kinking or getting in your way. The PW182501AV electric pressure washer is also one of the leading pressure washers that only produce a muffled sound when in use, making it a top preference for homeowners. This is the best Campbell Hausfeld pressure washer for the tougher cleanup jobs on outdoor locations like the patio, play equipment, sidewalks, and driveways. The pressure washer is quick to set up with its easy-to-attach access points for external accessories and attachments. It is portable and easy to store, thanks to its lightweight and compact design. If you are a Green advocate, then Campbell Hausfeld PW182501AV electric pressure washer is good news. It has a minimum product footprint, making it eco-friendly. The low-noise technology is responsible why it is a lot quieter than the other pressure washers in the market. The on-site storage makes for convenient and easy tracking of accessories. The pressure washer needs to rest after two continuous operations. So, you might need to wait a bit more to clean a huge space. Some parts are made of plastic, which means that these parts can get damaged easily. This pressure washer unit is the upgraded version of PW182501AV. It mostly has the same features like its predecessor, but this one has a slightly higher flow rate. If PW182501AV has a maximum flow rate of 1.65 GPM, then PW183501AV boasts a flow rate of 1.75 GPM. If you’ve read my previous article, I mentioned that a slight difference of the GPM level can already make a huge difference in the total cleaning power of the unit. But rest assured that this pressure washer machine can help complete your cleaning task easily and quickly. This pressure washer is enough to clean all the dirt and grime but is safe enough to use without leaving marks on the surface. It has a hose that is 20-ft with a built-in hose reel, so you can easily reel in the hose for storage. Campbell Hausfeld PW183501AV also has a swivel adaptor for the hose that will allow you to spray in all directions. It also has a 1-liter detergent tank, which is perfect for when you clean a surface that needs soap treatment. The pressure washer model also comes with different spray nozzles. These include variable, brush, turbo, and angle nozzles. Additionally, it has built-in wheels that allow great maneuverability. This pressure washer is ideally used for cleaning vehicles like ATVs (all-terrain vehicles), boats, RVs, and cars. Suited for clean-up jobs on driveways, sidewalks, decks, and wharves. You can be sure to complete such tasks quickly and easily, making cleaning more pleasant and enjoyable. It is one of the quietest pressure washer equipment currently available in the market. An adjustable fan lance is provided that allows better spray control and lesser pressure on the surface. It provides a wider angle for cleaning. It may need to rest in between uses to avoid overheating. 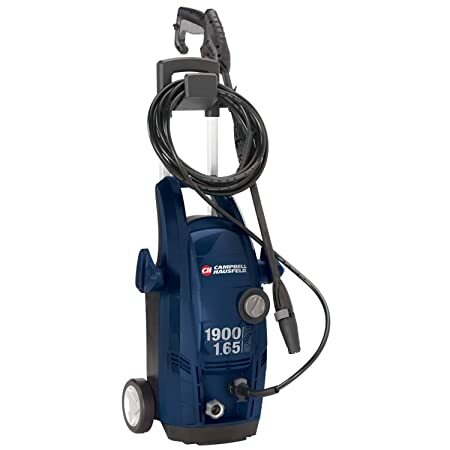 The Campbell Hausfeld PW150100 Electric Pressure Washer has a pressure output of 1500 PSI. The low pressure is an indication that this particular model is only suitable for light-duty cleaning. The unit is safe to use on any type of surface indoors and great for residential cleaning jobs. Some people specifically buy a low-PSI pressure washer machine for car washing. This is because cleaning cars require low pressure to avoid damaging the car paint. So, if the best Campbell Hausfeld pressure washer for automobiles is what you want to buy, then please be advised that PW150100 is a good recommendation. The Campbell Hausfeld PW150100 is perfect for cleaning your cars, driveways, decks, and more. It is lightweight and compact, which makes the equipment easy to store. Weighs only 19.3 pounds, making it easy for a person to carry the unit and move around. The model is easy to set up, including the attachment of its accessories. Comes with an instant start-stop feature that allows you to save on power and water whenever the unit is at idle. 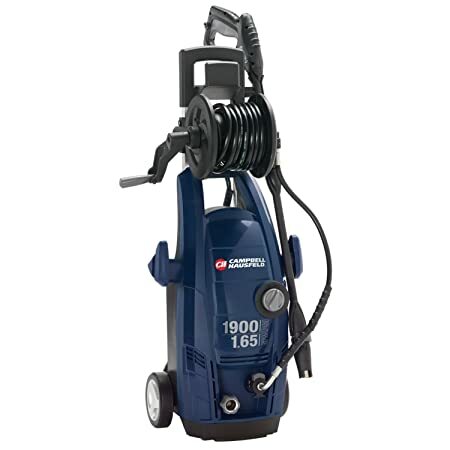 Despite having a small body structure, this electric pressure washer by Campbell Hausfeld is equipped with an axial pump that can deliver a good volume of water per minute at a pressure of 1500 PSI. The inlet is plastic, so it’s susceptible to breakage. The best-value Campbell Hausfeld pressure washer is the Campbell Hausfeld PW183501AV. 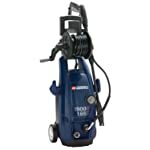 It is the ideal middle-range pressure washer in the lineup that produces just the right amount of pressure (1900 PSI) at the best flow rate of 1.75 gallons per minute. This model is powerful enough to help you complete your cleaning job in a breeze without sacrificing efficiency. Having the highest cleaning units among the three products on the list, you can do more cleaning tasks with this pressure washer machine. At the same time, it does not leave any permanent marks or scars the surface, so it’s a great pressure washer for cleaning vehicles. But my favorite feature of this unit is that its spray wand can be virtually positioned at any angle, thus ensuring the best position for effective cleaning. Lastly, I am impressed to know that this Campbell Hausfeld pressure washer produces low carbon footprint, making it the best Campbell Hausfeld pressure washer suitable for eco-friendly individuals. It also produces less noise, which makes it a favorite among users who live in a shared apartment and duplex house. Campbell Hausfeld and AR Blue Clean are two of the most trusted brands when it comes to pressure washers for cars and other vehicles. 1. Is Campbell Hausfeld Pressure Washer Any Good? Yes, Campbell Hausfeld pressure washers are really good. There are a lot of models that you can choose from depending on your cleaning needs. There are models that are best suited for household/residential use, thus are smaller and compact in size and are more affordable. There are also models that are suited for commercial and industrial use; although Campbell Hausfeld is best for residential purposes. 2. What’s The Best Campbell Hausfeld Unit For Cleaning Vehicles? The Campbell Hausfeld PW150100 pressure washer is one of the best choices for cleaning vehicles. It is light, compact, and easy to use. It also produces the least pressure, which is ideal when cleaning delicate parts of your car such as the windows and side mirrors. 3. How Much Is A Medium-Duty Campbell Hausfeld Pressure Washer? The price range for Campbell Hausfeld pressure washers is between US$ 106 to US$400, depending on the model. 4. Can I Buy Additional Spray Wands? Yes, you can purchase additional or replacement spray wands for your specific model. These are available in well-known online stores like Amazon. You can also check the official website of Campbell Hausfeld for the list of retailers near your area. 5. Do Campbell Hausfeld Pressure Washers Come With Warranties? Yes, these pressure washers come with a 1-year consumer warranty and a 90-day commercial warranty. Manufacturer’s warranty can also be requested from the manufacturer’s customer service department. 6. Can You Get Replacement Parts For Campbell Hausfeld Pressure Washers? Yes, there are external parts that are available for you to purchase. However, you have to contact the manufacturer for the internal pump and motor parts. You will only need to visit the website for a list of the authorized distributors of the parts. 7. My Spray Wand Got Broken; Can I Purchase A Replacement One Or Maybe Use A Universal Wand? You can easily purchase replacement wands and other parts from Campbell Hausfeld through their authorized distributors. On the other hand, if the universal wand has a quick-connect, then you can also use it. Over the years, Campbell Hausfeld has proved the reliability of the pressure washer machines they make. When you choose Campbell Hausfeld, you will be confident of having a pressure washer that can handle any type of job at the fraction of the price. Although there are people who are not satisfied with the brand for personal reasons, still the brand tops on most people’s list of best pressure washer brands for residential use. How about you? Which Campbell Hausfeld Pressure Washer is your best bet? Share your experience with the product to help others. Thank you for reading and don’t forget to share!